As a marketer, you always need to stay on top of current going-ons and trends in marketing. One way to do this is to go to industry conferences. Ones specific conference that is small but gets you up-to-date is Brandsmart hosted by Chicago AMA. This conference offers a full-day schedule of presentations by brands of different caliber and from different industries. This year’s BrandSmart offered a fresh line-up that got me thinking about branding and more specifically about brand relevancy. First speaker to kick-off the conference was Scott Davis with Prophet and author of Shift. His presentation outlined how to build relentlessly relevant brands. His presentation really has set the tone for the rest of the conference as speaker after speaker that followed kept using “relentless relevant” phrase over and over again to make their point. Relevance is changing, it is no longer a moment in time, and no brand can assure enduring loyalty. They must re-learn loyalty every single day. Instead brands must think like a challenger. Brands must be: consumer obsessed, distinctly inspired, pervasive innovators, ruthlessly pragmatic. The next few presenters showcased the case studies about their companies that showcased how their respective companies returned to relevancy. The two examples that followed were Mayhem campaign from Allstate and re-branding of Catamaran. The first was a great example of how Allstate was able to build Allstate into a more relevant brand by using Mayhem to appeal to a younger audience through their involvement with College Football. They have created a humorous campaign #mayhemsale to promote the important social message of staying safe online. The second example has presented a harder challenge, but Catamaran was able to rise to the occasion by completely re-imagining the brand and its characteristics. 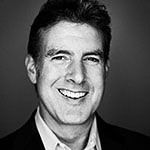 My main takeaway was that they stayed relevant by focusing on the major three objectives: being a thought leader in their space, leveraging their brand reputation, and using insights from their clients’ experiences and turn them into actionable items for the future. Figuring out the right fit based on our Brand’s DNA, what our customers and employees care about. Become a brand that non-profits want to work with by avoiding these four: do invest, do integrate, don’t borrow, don’t use. 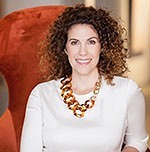 To wrap-up this post I want to end with one of the last speakers that had the most fun campaign of anyone, in my opinion, was Andrea Javor with Beam Suntory. She highlighted the integration of two brands of Beam and Suntory and how they came together. 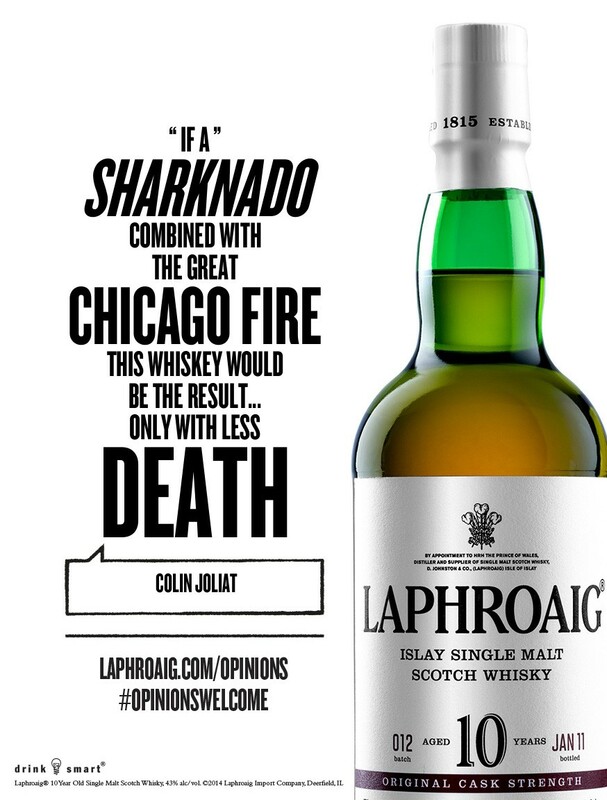 The highlight was the campaign for Laphroaig, the world’s most distinctive single malt scotch whiskey, called Opinions Welcome. Instead of fighting the “negative” reviews and opinions of their customers they put a humorous, light-hearted twist on it. 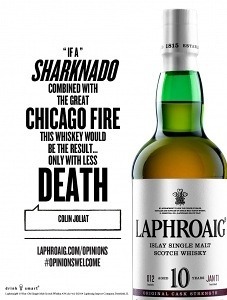 The result is really funny and shows that Laphroaig is aware that it might not be for everyone.